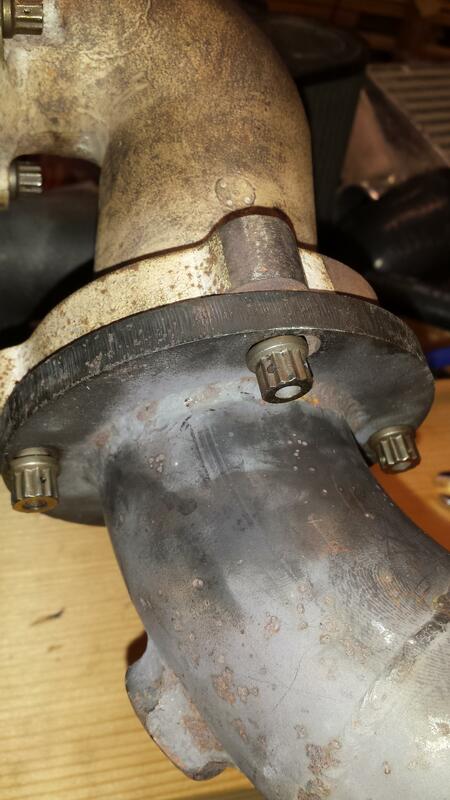 What turbo bolts are these? - Miata Turbo Forum - Boost cars, acquire cats. The turbo setup is a Garrett 2560r in what I was told was an FM2 no electronics kit, bought from BoostedSmurf. It has the earlier style dp, but isn't THAT old because the manifold has an EGR fitting and Keith recognized it to be their most current style manifold. One of the bolts bent in shipping and I'm trying to source another, or a whole set. I rather like the look. All heads are drilled for safety wire. 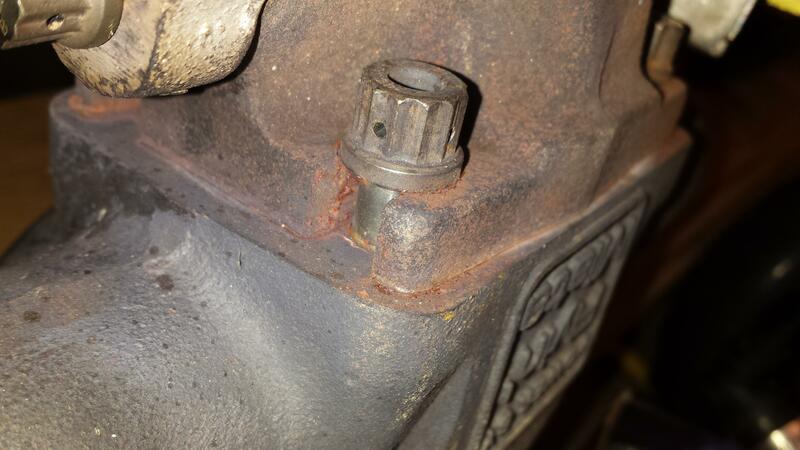 The smaller M8 size bolts on the outlet casting and downpipe connection have 12-point 3/8" heads(could be metric, didn't have a 12pt metric set, only sae). The 4 bolts from exhaust mani to turbo look to be M10 sized, but I haven't pulled them. On the heads the smaller ones say GE 9665M50P02 which yields absolutely nothing on google. Anybody recognize these? 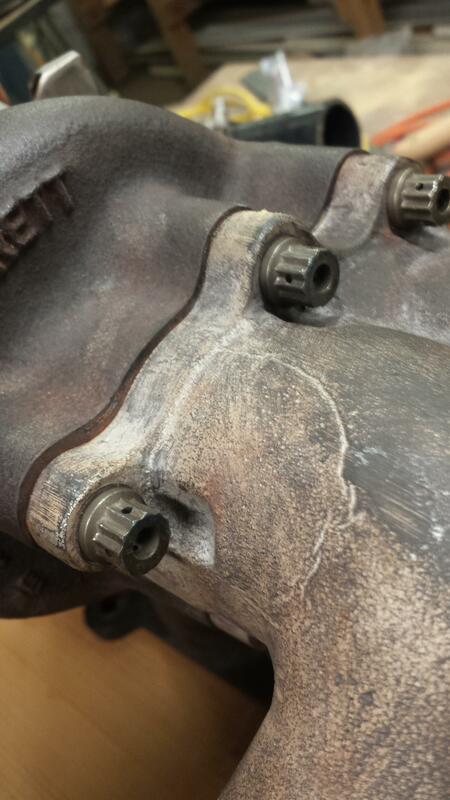 ARP M8 Bolts on downpipe and outlet casting, looks to be M10 on the turbo to mani connection. But they are NOT moving. May just get left in until they break. In my view, those are not an appropriate style fastener for that application. A screw through a flange into a casting is a very poor joint. Tendency to loosen is the problem. The joint should be held together by studs, torqued into the casting, then a lock nut, or safety wire. The anchoring of a stud into the base material is the key to the best joint possible. I know it can work as shown, but that does not make it good injuneering. I definitely won't argue there. New light on these, though. Looking up inconel studs to order on MSAerospace.com I noticed the part numbers were oddly similar. So similar in fact that I did some digging to find out that the part number engraved on the bolts are only 1 number away from the 5/16 12pt inconel bolts they sell. I'm planning on calling them tomorrow to see if they can help me identify what I have here. Also, this is the results page with the part number on it. 9665M50P01, only difference in my part number is the P02 on the end. 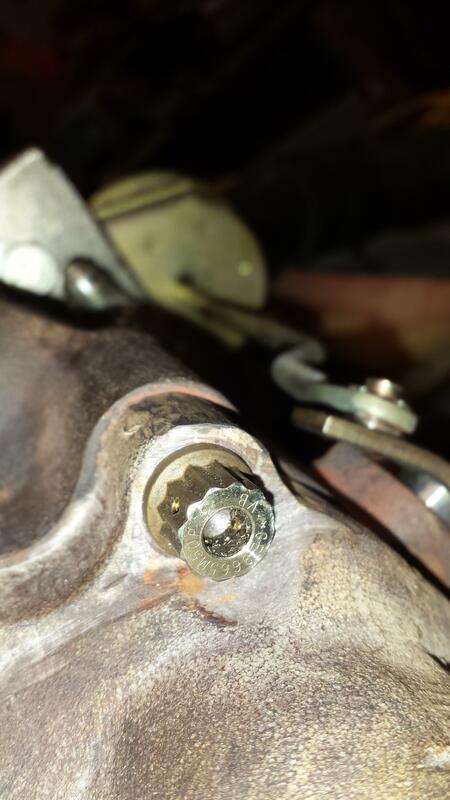 Quick Reply: What turbo bolts are these?